We live in a binary world, unfortunately, where any criticism directed toward the state of Israel’s treatment of Palestine can be misinterpreted as anti-Semitism and used as propaganda against well-meaning artists. 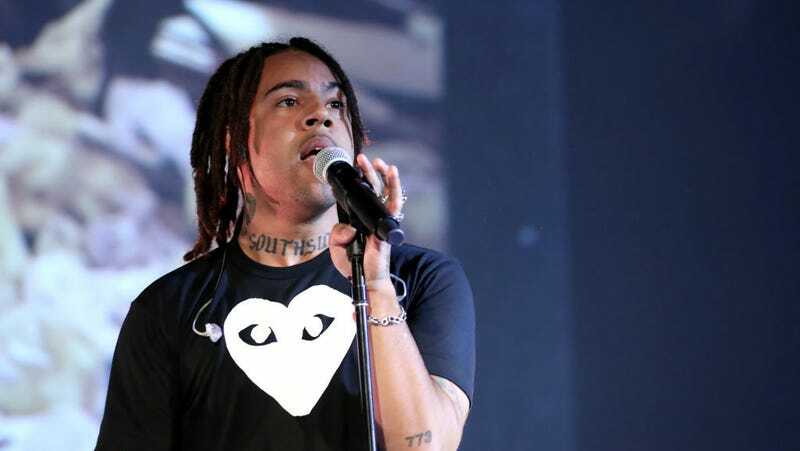 Rapper Vic Mensa, of all people, shouldn’t have to make this clear. He did anyway in a recent op-ed for Time, detailing a disturbing trip he took to Palestine last summer. He parallels Palestinian and black American experiences through a few heartbreaking stories—images of people being incarcerated for minor offenses, of being disproportionately targeted by police and clear disparities in quality of living. (At one particularly disturbing moment, he mentions looking into worm-infested water in a refugee camp.) Criminal justice systems are stacked against Palestinians and black Americans from an early age; in Palestine, Mensa met children as young as 12 who had been detained in Israeli prisons. We sat in silence and watched a series of YouTube videos filmed by villagers of soldiers terrorizing the demonstrating civilians, primarily women and children. The videos show hundreds of metal tear-gas canisters raining on peaceful protests, elderly women punched in the face, children beaten and arrested, and even a villager who’s face was literally removed by a gas can at point blank range. “It’s our Palestinian 4th of July. You have fireworks, we have gas canisters,” jokes our host. It’s hard to find the strength to laugh. As exhausting arguments ensue over whether or not artists should perform in or boycott Israel altogether, Mensa takes a different approach—by going to the contentious region and coming back with a gripping report of injustice. It’s worth reading in its entirety here. Can the Cultural Boycott of Israel Take Off Now That Lorde Has Joined?